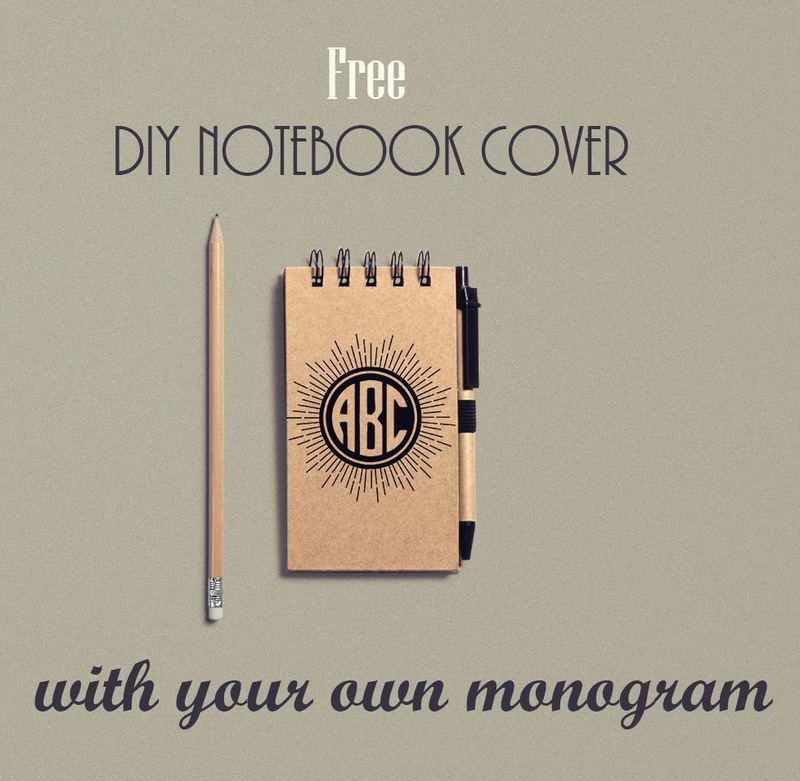 DIY Notebook Cover | Create Online & Print at Home - Free! 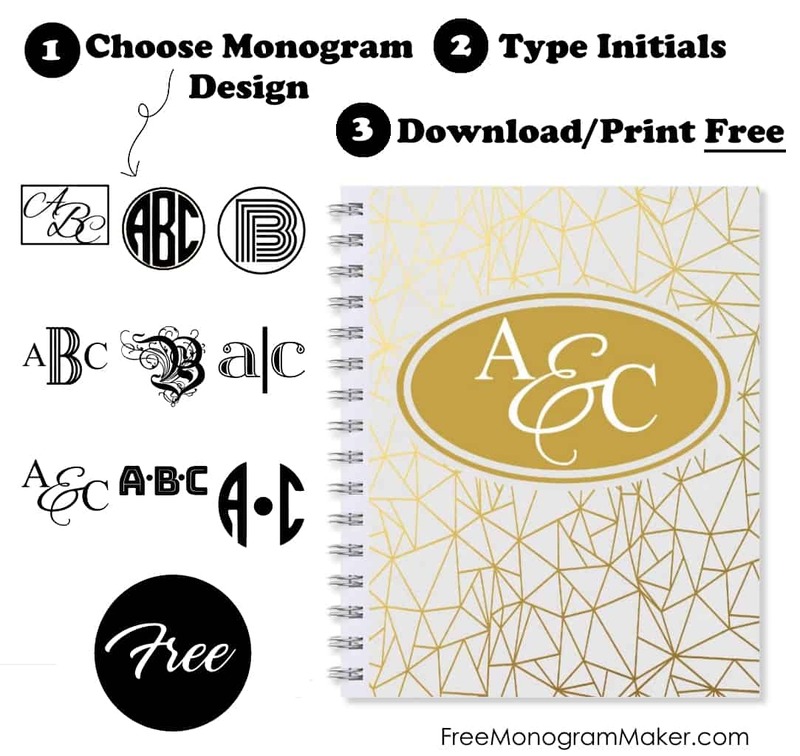 We have a few templates below to create notebook covers with your name or monogram. 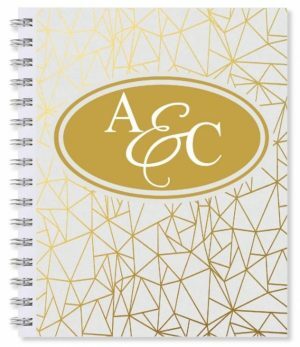 Since the text is editable you can actually write anything on the notebook cover and it doesn’t have to be a name or monogram. 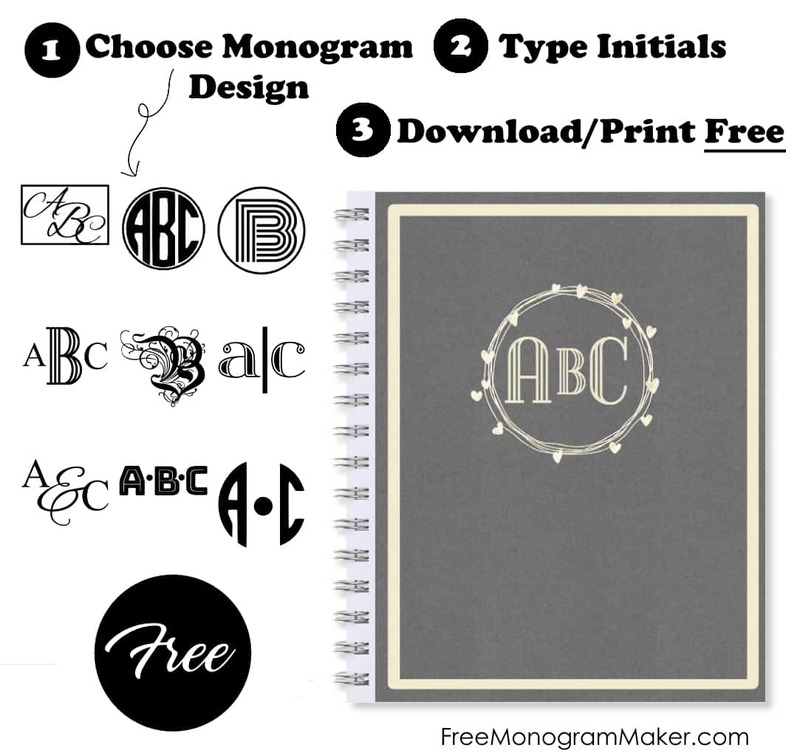 There are 9 different monogram fonts available for each design. 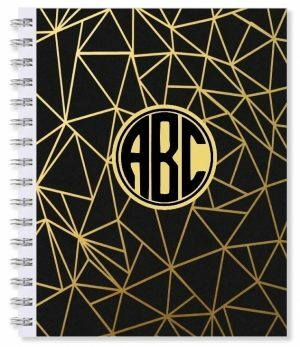 This design is available in 14 different colors. 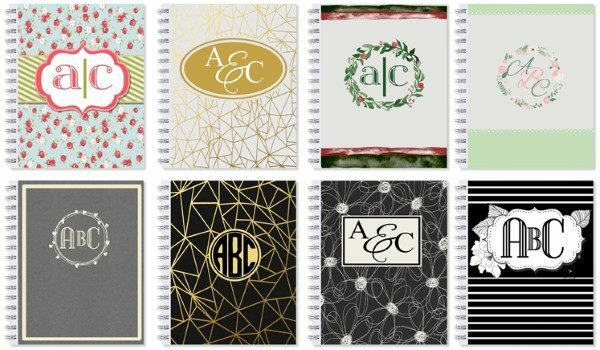 How to Make Monogrammed Notebooks? 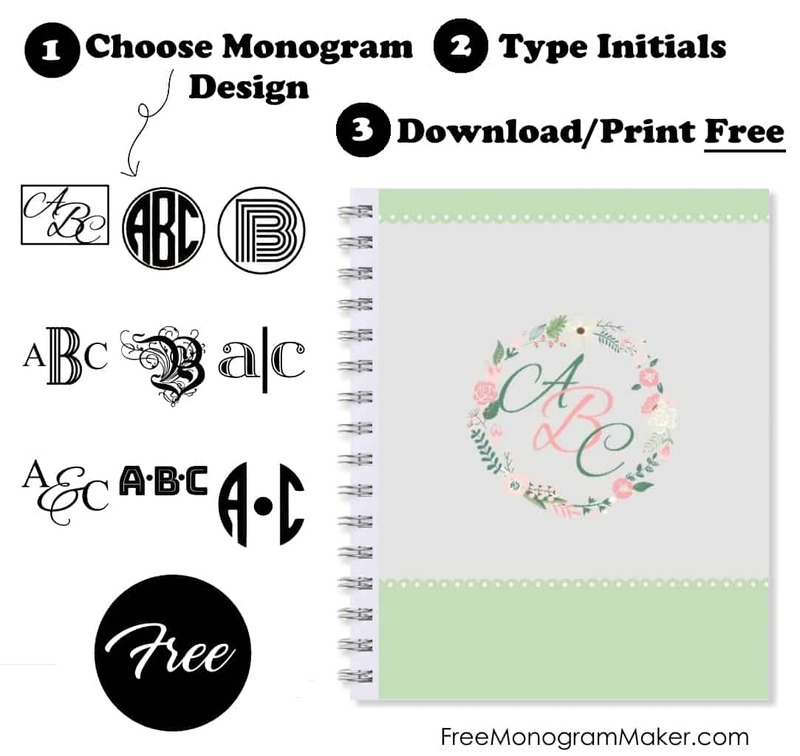 Select a DIY notebook cover template from the selection above. 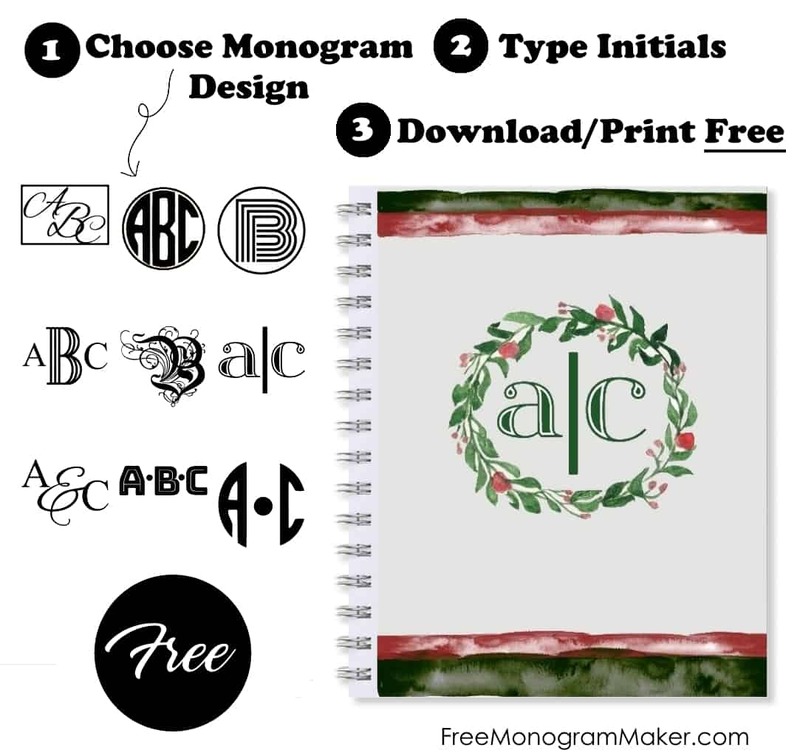 Select the monogram or name design. 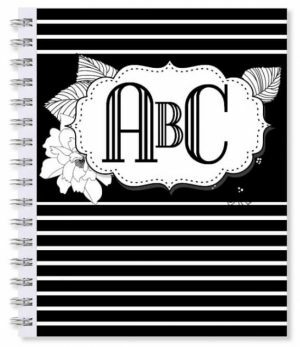 Print on paper or cardstock depending on the method that you are going to use to create the notebook covers. There are 3 methods. 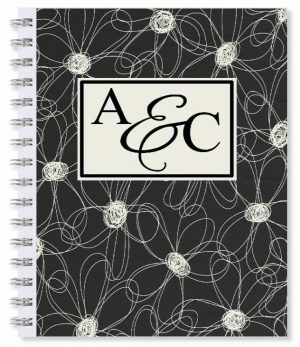 Print on paper and adhere on top of an existing notebook cover. 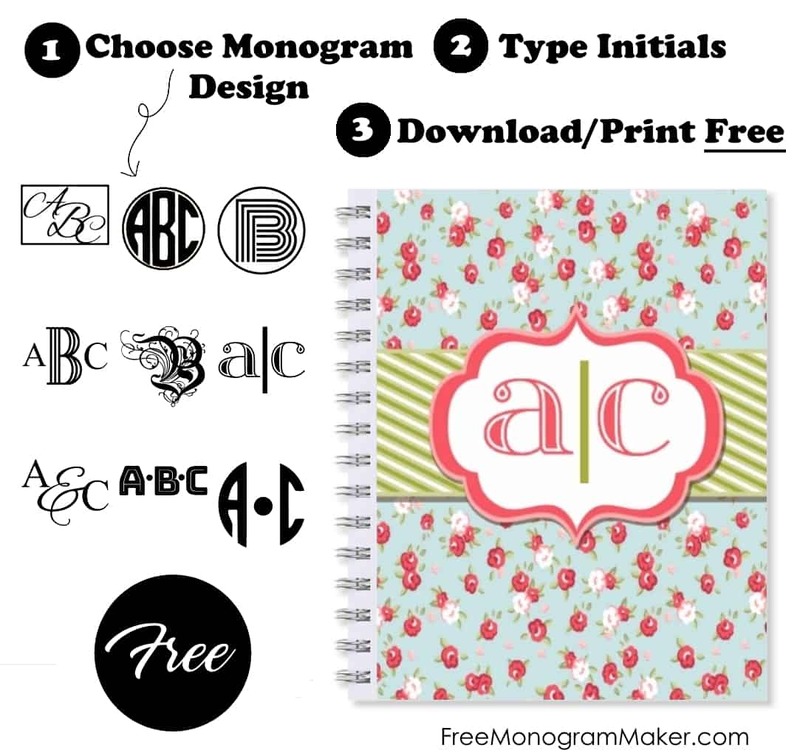 This is the easiest method. Print on cardstock. 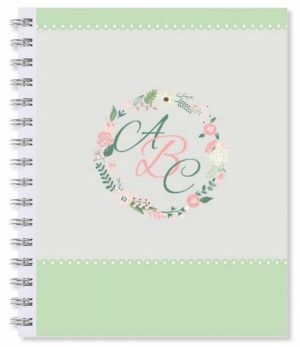 Remove the existing notebook. 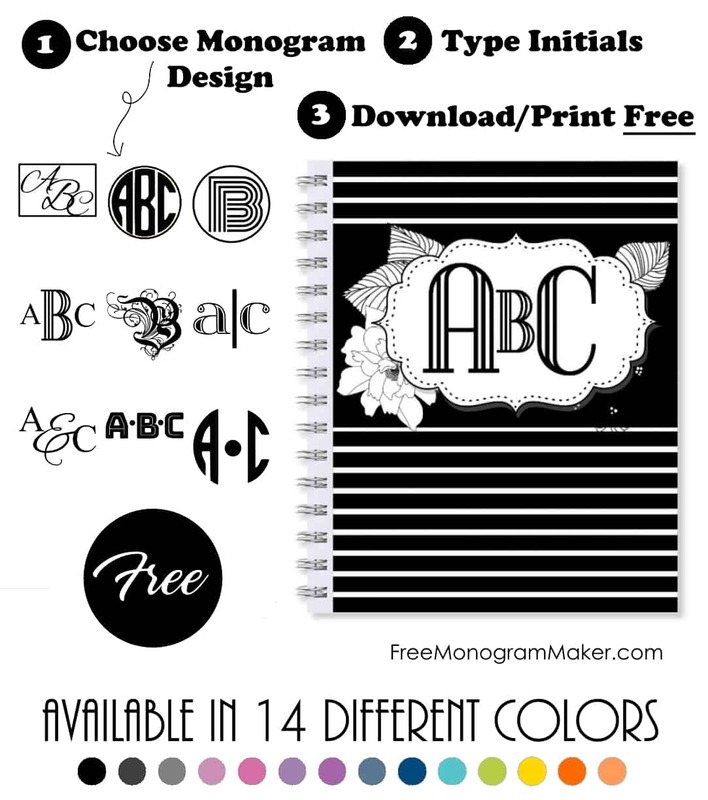 Place the two covers back to back and mark each hole on the new cover. 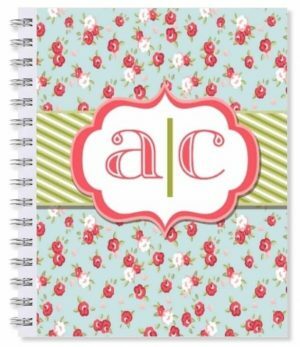 Use a small punch or drill press to make a hole in each spot. Carefully pull the dogleg at the end of each spiral and insert the spring into the new hole. Bend the spiral back to the same position it was in before. 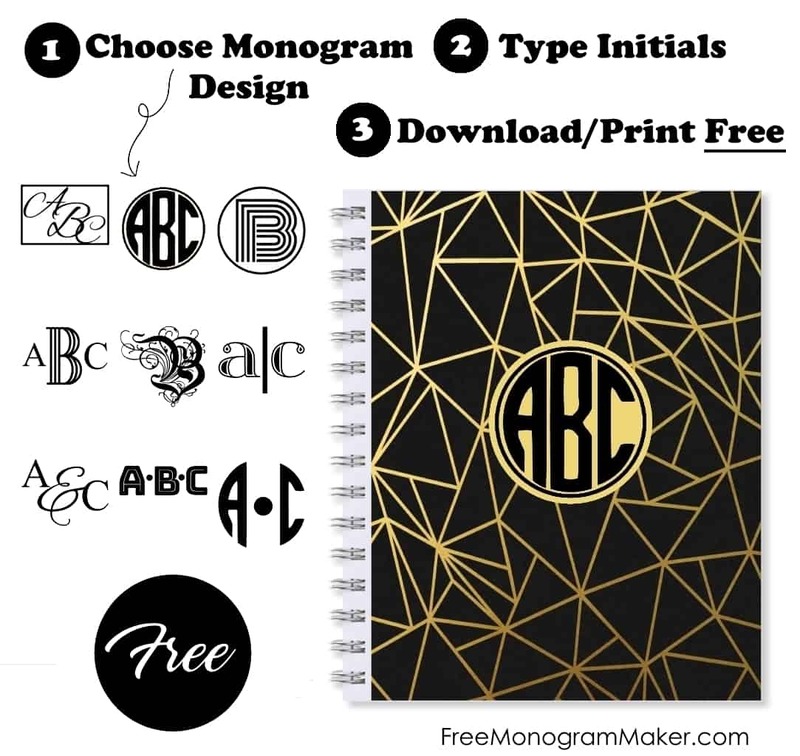 Carefully remove the original notepad cover and print directly onto the back of it. 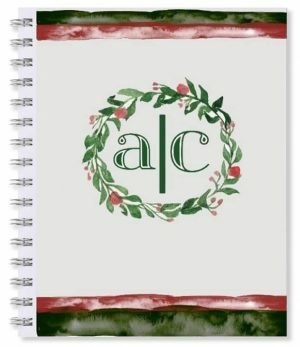 The back is usually matt and easier to print on. 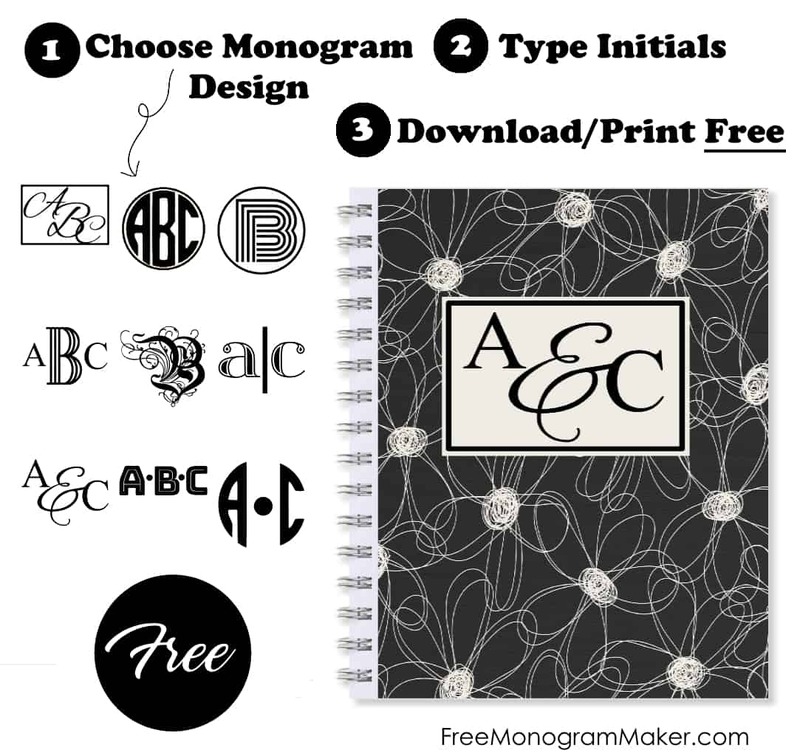 You can also take any monogram from this site and print directly on the original notebook cover. You will need to remove it and then put it in your printer’s feeder. 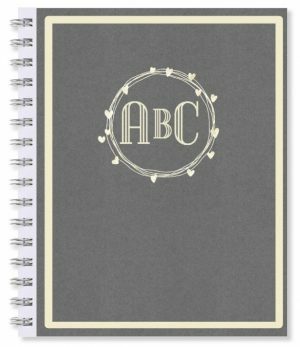 The back of the notebook cover is usually more suitable to print on as the front tends to be shiny and the ink will smudge.